The National Park Service (NPS) is celebrating their 100th anniversary. The National Writers Series (NWS) is joining in the celebration by suggesting books and providing discussion guides that encourage book groups to read stories that are connected to the NPS. We hope that by reading one of these books, your book group members might rediscover a favorite park or discover a new place. In celebration of their 100th anniversary, the NPS hopes to connect people to parks and help communities protect what is special to them, highlight their history, and retain or rebuild their economic and environmental sustainability. Join in the celebration and encourage your book group to read one (or more) of these great books. 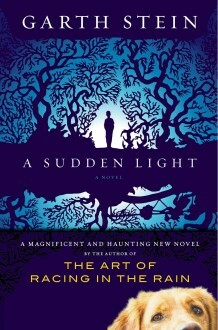 Garth Stein’s A Sudden Light is the featured title for April. The writings of John Muir, a naturalist author, and early advocate of preservation of wilderness in the United States, play a key part in A Sudden Light. His activism helped to preserve the Yosemite Valley, Sequoia National Park, and other wilderness areas. 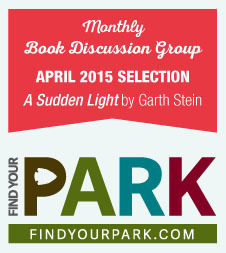 GARTH STEIN will make a National Writers Series appearance on April 21. Click for more information or to order tickets.